After I was handed down a Hashimoto’s diagnosis over a decade ago, I chocked up any fatigue and moodiness I felt to my sluggish thyroid gland. But I’ve since learned that when signs of fatigue, brain fog and moodiness appear, I need to look to my liver first. As your main organ of detoxication, the liver plays an important role in balancing the energy flow of the body, as well as in digestion, in hormone regulation, including thyroid hormones, and in regulating blood flow. Nearly every substance that enters your body must first be processed by the liver before it can be assimilated into your tissues. This includes nutrients as well as chemical toxins in the environment. What can overburden the liver? Take a close look at this list. Put a mental check next to any of these toxins you’ve encountered in the last week. The average woman can check off at least a few if not most of these toxins on a daily basis! My point? Your liver has a tough go of it these days, desperately trying to keep up with the toxic burden we place on it almost daily. And it’s no wonder your thyroid and adrenals take a hit in the process as well. 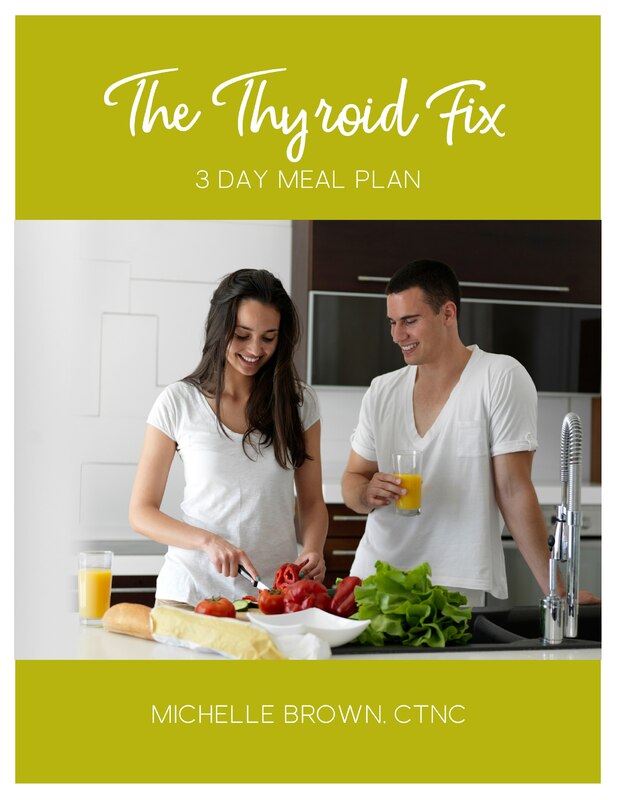 For starters, when the liver isn’t functioning properly, you won’t be able to metabolize T4 thyroid hormone into the active T3 hormone your body needs for energy production at the cellular level. The inactive, T4 hormone will just be hanging out in the bloodstream, unable to do you any good. Your adrenals get stressed out (ha! Get it?) when the liver is sluggish as well. Processed foods can tax the liver and the adrenals by raising blood sugar levels, which spikes insulin, a pro-inflammatory hormone that signals the liver to store excess blood glucose as fat. Because a spike in insulin can often causes blood sugar levels to drop as quickly as they rose, the low blood sugar levels that follow a high carb meal signal a spike in cortisol, your resident stress hormone made by the adrenals. This whole rise and fall of blood sugar levels throughout the day from eating processed foods is referred to as the Blood Sugar Rollercoaster- and when it becomes a continual process, the adrenals eventually reach the point of adrenal fatigue where they simply can’t keep up with the constant need for cortisol in response to the stress of blood sugar imbalances and toxin overload. When your liver is overwhelmed with a toxic load, it can manifest in a number of ways, not just fatigue. Take a look at the following list and notice if any of these signs of a sluggish liver have got you feeling less than your best. The good news is, your liver has an amazing ability to remove even the toughest toxins from your system- if you give it the support it needs to do it. Heck, your liver can even regenerate itself when damaged! (1) Think of it like a guard dog- it’ll keep the bad guys out as long as you give it the food, rest and all the love it needs. As Anne Louis Gittleman so eloquently puts it, your liver is the key to life. A sluggish liver will inevitably affect every other area of your heatlh, from thyroid and adrenal function to digestion and even brain health. So what’s a girl to do to restore liver function and improve thyroid and adrenal health? In this article, we will look at steps 1 and 2. The third step, utilizing detox support protocols will be addressed in a follow up article. 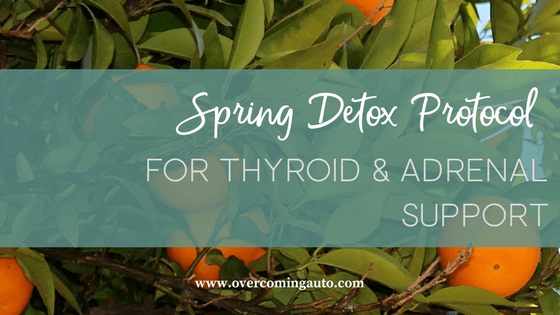 Let's dive into ditching toxins! If your liver is overburdened with toxins, the first and most obvious step is to eliminate the toxins that are stressing it out in the first place. The first place to start is with the diet- ditch inflammatory foods like sugar, refined flour, rancid seed oils, and processed foods made with artificial preservatives, sweeteners and other toxic chemicals. But don’t just stop with cleaning up your diet. Take a look at the list of toxins that stress the liver again and eliminate toxins in each area. The next place I recommend women start is with their skincare routine. Are you slathering on toxin-laden skin creams, deodorants and hair products that tax the liver and damage your health at the cellular level? You can also find toxins lurking in many chemical cleaning products, and even in the air you breathe and water you drink. Don't panic! Addressing each area of toxins is easier than you think. For more information on where hormone disrupting toxins are hiding out in your home, read my book Energy Reset: Remove the Toxins, Reset Your Hormones, Restore Your Energy. ​Once you've cleared the path for your liver to do it's work by ditching everyday toxins, it's time to amp things up with detox supporting foods that are high in the essential nutrients that play a role in the detoxification process. You might be suprised to learn that a lot of the detox methods being touted today fall woefully short when it comes to real detox support. For example, did you ever do a juice detox in the hopes that you could rid your body of toxins in a weekend? Or maybe you tried the old apple cider vinegar-lemon-juice-and-cinnamon detox trick. Ahh.. the things we'll do to drop a few pounds. Protein is important for the synthesis of glutathione, your body's master antioxidant. It also is necessary or detoxing heavy metals like copper. It's essential for blood sugar regulation, which is a huge piece of keeping the liver functioning optimally. Don't make the common detox mistake of removing quality protein from your diet. Make sure that your detox menu contains adequate protein in the form of grass-fed beef and buffalo, organic, pastured chicken, wild caught fish and other sources of quality protein. 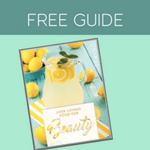 Grab my FREE Liver Loving Foods for Beauty Guide! Remember that spring is the best season for supporting the liver and fresh, in-season foods are your best ticket for doing just that. Emphasize plenty of fresh, organic vegetables, especially spring greens like kale and cabbage. Fresh green salads are a great way to get your greens in each day, but if you have a tendency to be too cold, you may fare better by eating foods which are warm- try incorporating your detox foods into stir-fries and soups to keep your body temperature at a comfortable level. Greens aren’t the only spring vegetable to indulge in during this season, by the way. Fresh peas, broccoli, cabbage (cruciferous veggies are great for detox! ), asparagus, carrots. Fill up on the veggies at each meal and while you’re at it, don’t forget the protein and healthy fats. While veggies are an important component of any good detoxification protocol, herbs and spices can also improve liver function. Parsley and cilantro are two of the best known detox herbs around. High in antioxidants and trace minerals, as well as chlorophyll, incorporating these herbs into your spring salads and stir fries will show your liver some serious love. Cilantro is especially touted for it's ability to chelate heavy metals like mercury from the body. When it comes to fruit, stick with low glycemic choices for your detox. This will ensure blood sugar levels stay steady and you aren't unwittingly overburdening the liver with excess sugars. Berries are in season in the spring and are a detoxification powerhouse. Blueberries, for example, contain the antioxidant pterostilibene. You've heard of resveratrol, the phytonutrient that gives red wine and chocolate their mega health benefits? Pterostilibene is resveratrol's lesser known but even more powerful cousin, a crazy-powerful antioxidant which helps to neutralize the free radical damage of toxins and helps to to regulate blood sugar levels to boot. Berries are also a great source of fiber, which is another huge piece of the detox puzzle. Fiber helps keep things, ahem, moving along so you can eliminate toxins efficiently. Constipation is a girl's worst nightmare when you're detoxing. If your body can't eliminate toxins through the bowel daily, the sit in the colon where they can be reabsorbed into the blood stream and you're back to square one. To round out your detox diet protocol, be sure to add a bit of healthy fats to the menu as well. Fats aid in the absorption of all those lovely nutrients you'll be consuming from your greens and berries, so don't let them go to waste by nixing the fats. Stick to real fats like avocados and avocado oil, olive oil, ghee and butter (from grass-fed, organic courses of source!). Nuts and seeds can also provide some healthy fats as well. Just be sure not to overdo them, since they also contain phytates which bind to the nutrients in the digestive tract, making them unavailable for absorption. Make sure they are raw or dry roasted to avoid the rancid seed oils most nuts on the market are fried in. Rancid fats found in seed oils are taxing to the liver and gall bladder and can set your liver loving detox back. Avoid corn, safflower, canola and soy oils and any processed foods made with them. They promote inflammation and can impede bile flow, dialing down the digestive process and leaving you feeling sluggish. Once you've ditched the toxins that are derailing your liver and adopted a detox supporting diet rich in fruits, vegetables, quality protein and a bit of healthy fats, you're well on your way to better liver function, clear skin, weight loss, and improved thyroid and adrenal function to boot. But you're not done yet. Toxins can take years to accumulate in your tissues and you will likely find you need a bit more support to smoke them out. In the next article, we will look at some of the best detox support protocols to get toxins up and moving on out so you can truly feel your best and restore your energy. GRAB YOUR FREE LIVER LOVING FOODS FOR BEAUTY GUIDE BELOW!